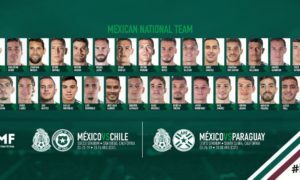 The absence of Giovani and Jonathan Dos Santos from the LA Galaxy’s roster was disappointing for Mexico fans that wanted to see some of El Tri’s potential World Cup players take on international teammate and LAFC rival Carlos Vela in Los Angeles, a region filled with over 4.9 million Mexicans. But Vela’s brace in the first half proved that he alone still has much to offer to the Aztecs. The match itself might have ended in a 4-3 victory for the LA Galaxy and the second half might have taken the spotlight–especially after that goal from 40 yards out from newly signed LA Galaxy player Zlatan Ibrahimovic–but Vela and what he has done since coming to the MLS should not go unnoticed. The first half was completely dominated by LAFC’s number 10, whose versatility alongside teammates Marco Urena and Diego Rossi broke through the home side’s defense. He looked confident whenever the ball was at his feet. A confidence that has been radiating from him since his announcement back in the summer of 2017. “It’s a lot of responsibility to be the first player on this team. I want to make history here,” he said that day. And he’s not far from it. 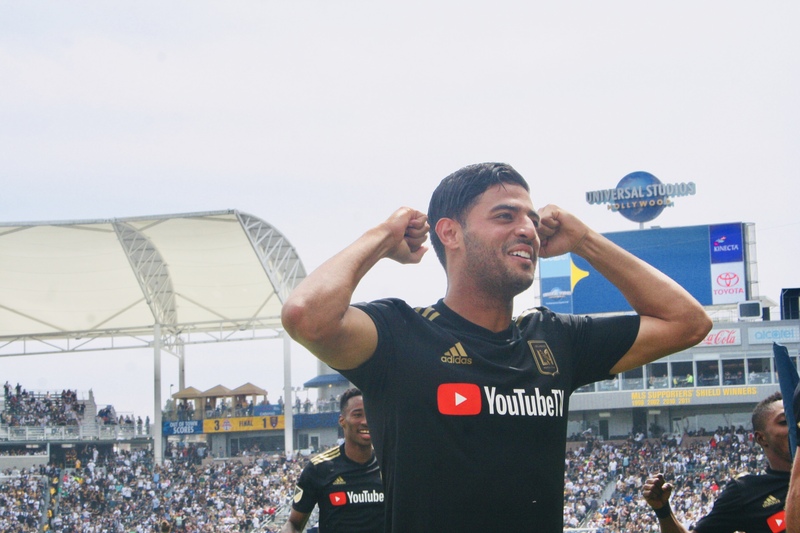 Vela has three goals and two assists just three games in since the start of LAFC’s inaugural season. During Saturday’s match, both of his goals were skillful and intelligent. The first in the 5th minute of play showed his ability to see opportunities and capitalize on them. His second goal in the 26th minute channeled his MLS-rival Giovani Dos Santos’ goal in the Gold Cup final of 2011–where the relationship with the ball is established and doing what is necessary looks effortless. In all the doubt that MLS brings to those that wish Mexican players in their prime would stay in Europe, Vela is proving that natural talent translates through any league. And to any team. 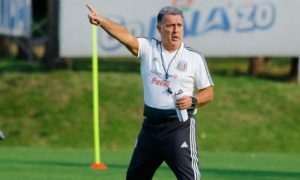 Juan Carlos Osorio attended the first LA Derby match at the Stubhub Center, perhaps not only expecting to see the Dos Santos brothers play but to personally see up close what Vela has been doing with his new club. Perhaps he was imaging Vela opening up the space for players like ‘Chucky’ Lozano or taking advantage of spaces to shoot. Maybe he was imagining Vela working hard to challenge opponents trying to get the ball in an international match against a team like Sweden (and possibly newly formed MLS rival Zlatan). 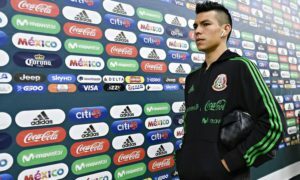 He saw a hard worker who was fighting for not just a spot, but a starting spot on the Mexican National Team and one who is proving his case very well. The match might’ve not gone the way the first half dictated it would go, but for Carlos Vela, it’s a learning opportunity. “ Today was about reflecting and improving and waiting for the next game against them to get a victory,” he stated after the match. 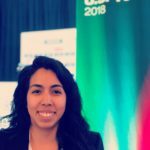 For the fans that showed up with their Mexico jerseys, with their “Prenda La Vela” signs, and with their expectations they knew would be met it was a moment to reflect on a player they’ve always admired. The scoreline didn’t give Vela or his team a formal victory but he still won. While his MLS rivals and international counterparts were in a suite celebrating a goal from Zlatan, he was making his own goals and celebrating his own victories that should leave anybody watching Mexico this summer that he’ll do well.